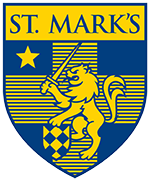 St. Mark’s students are able to start taking Film beginning in sixth grade and continue into Upper School. Jennifer Gilbert begins by teaching the history of film by showing students silent films with icons like Buster Keaton and Charlie Chaplin. They also make a project to demonstrate their knowledge of filmmaking. As they move into Upper School, students learn about modern film and are presented with more varied opportunities to write, direct, and edit their own films with members of their class and school. Short films created in the Advanced Film class appeared in the South by Southwest Film Festival, the All American High School Film Festival, the Austin Film Festival, CineFest, and the YoungFilmmakers Film Festival.